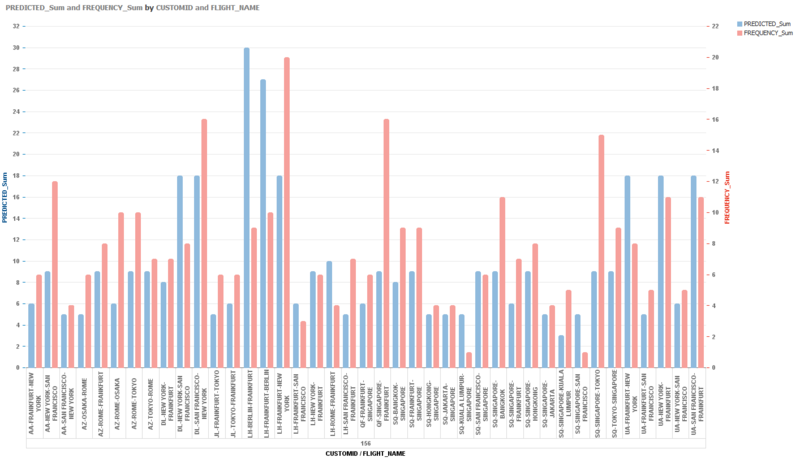 When SAP HANA met R – What’s new? But hey! I wouldn’t write a blog is there wasn’t at least one new cool feature, right? You can read more about it here SAP HANA R Integration Guide. So what’s the cool feature? Well…you can store a train model like lm() or ksvm() directly on a table for later use. This is really cool, because if you have a big calculation to be made, you only need to store the model and use it later without having to reprocess everything again. 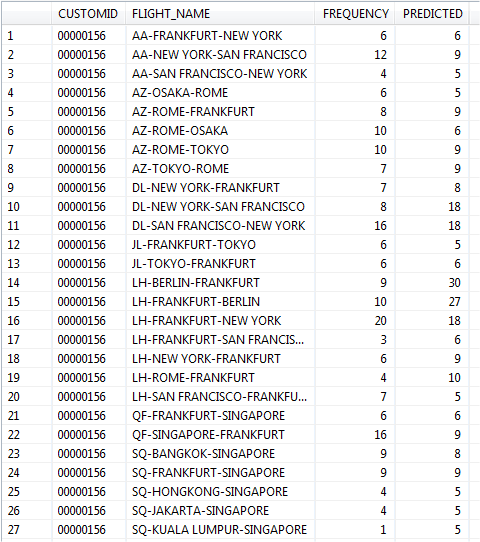 Let’s say we have two tables from the SFLIGHT package…SPFLI and STICKET, so we want to predict how many times a customer is going to flight to different destinations (CITYFROM-CITYTO) depending on how many times all the customers has flights to those very same locations. --Create a TYPE T_FLIGHTS to grab the information from the SPFLI and STICKET tables. --Create a TYPE FLIGHT_MODEL_T and a table FLIGHT_MODEL to get and store the model in the database. --of the CARRID, CITYFROM and CITYTO. ie: AA-NEW YORK-SAN FRANCISCO. Anyway…it took 6.165 seconds to SAP HANA to process 1,842,160 records. --stored in our PREDICTED_FLIGHTS table. --We're going to use the unserialize() function to extract the model. To leave a comment for the author, please follow the link and comment on their blog: Blag's bag of rants.